zarinahtakesapaycut: En Nik Mohd Hasyudeen Yusof and Mr V.U. Kumar, please answer these questions. Following the worst financial crisis in generations, the US Congress formed the Financial Crisis Inquiry Commission (FCIC) in May of 2009. The FCIC has just released its findings here, and says that the crisis was avoidable. You are the Executive Chairman of the Audit Oversight Board, empowered by the Securities Commission to ensure that each and every auditor of a Public Interest Entity, be it an individual or a firm, meets the 'fit and proper' criteria as set by the AOB guidelines. Prior to this appointment, you were the President of the Malaysian Institute of Accountants, in 2008/9. While you held the post of President of the MIA, you knew that the engagement partner of the firm Roger Yue, Tan & Associates was charged by the SC, for abetting a public listed company in submitting false information to the Bursa. When PricewaterhouseCoopers was registered by the AOB, on the 1st of April 2010, on its first day of operations, and your first day on the job, you would have known that this same firm of Roger Yue, Tan & Associates was the Auditor for PricewaterhouseCoopers Consulting Sdn Bhd (464379-U). 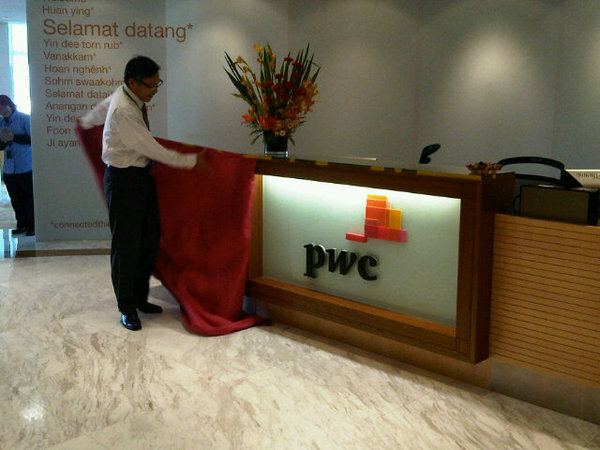 How did you allow the registration of PricewaterhouseCoopers within a few hours of taking your seat, when an investigation into why and how PricewaterhouseCoopers has retained Roger Yue, Tan & Associates as the auditors for their consulting company must be done under Section 31P SCA, 'fit and proper' criteria for practices? Who approved the registration of PricewaterhouseCoopers on the 1st of April, was it you En Nik Hasyudeen or was it Mr Manohar Benjamin Johnson, the Ex PwC Director who joined the AOB as your number 2 the very same day? We know that Mr Chin Kwai Fatt, the MD of PricewaterhouseCoopers is a personal friend of yours En Nik Hasyudeen, but we do not believe that that would have influenced the speed with which his firms registration was approved by the AOB, correct? Have you taken the time to investigate the allegations raised here, here, here and elsewhere as to the practices of the firm of PricewaterhouseCoopers and your fellow Senior Partners?